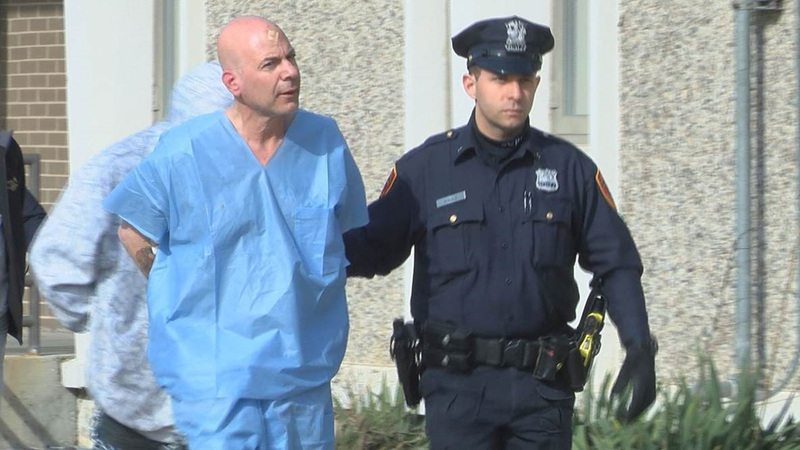 NORTH BABYLON, Long Island (WABC) -- The driver who police say struck a U.S. postal worker on Long Island Tuesday and left the victim in critical condition with a severed leg is now facing charges. Stefano Belloisi, 51, of Deer Park, is charged with reckless driving and criminal possession of a controlled subtance in the incident, which happened on Prairie Drive in North Babylon around 2 p.m. Exclusive video was released by FiOS1. Authorities say the postal worker was standing at the back of his truck going through the mail when Belloisi's Lincoln Continental veered off the road and struck him. "I was in my house, and I heard a boom," neighbor Jason Lesley said. "Then, about three or four seconds later, another boom, then what sounded like a shot of water coming up. And I was realizing the hydrant being under the gentleman's car." The victim suffered extensive injuries to his legs and was airlifted to Stony Brook University Hospital. "I came outside and I saw a car smashed into my telephone pole," said Lesley, a registered nurse at Jamaica Hospital. "I saw my mailman about 30 feet down the block laying on his side. I thought he was deceased. He wasn't moving...I walked up to him, and his leg was severed. It was completely off." Police say Belloisi also struck a fire hydrant and a telephone pole. He refused medical attention at the scene.